In tissue engineering and regenerative medicine, a biomaterial provides mechanical support and biochemical signals to encourage cell attachment and modulate cell behaviour. 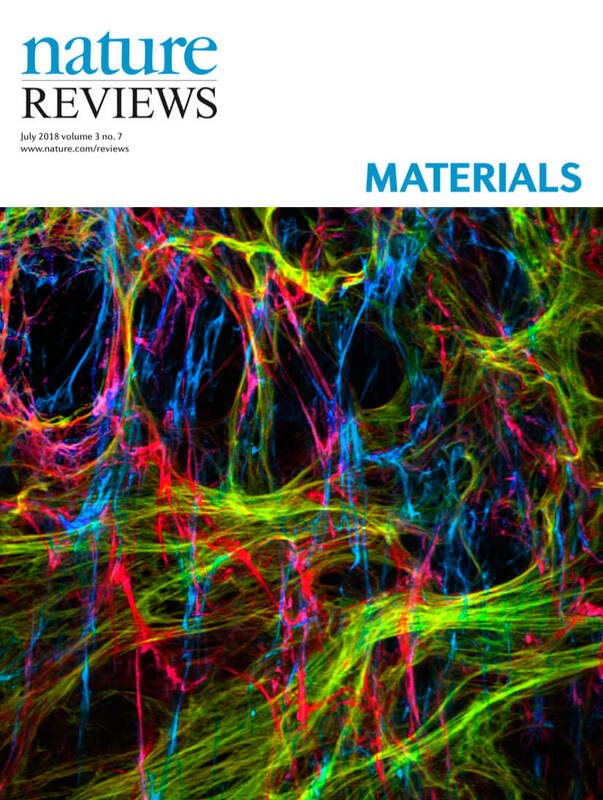 Nature’s template for a biomaterial is the extracellular matrix (ECM). The ECM contains intrinsic biochemical and mechanical cues that regulate cell phenotype and function in development, in homeostasis and in response to injury. The use of ECM-based materials in biomedical research has advanced from coating cell culture plates with purified ECM components to the design of ECM-mimicking biomaterials and the engineering of decellularized tissues aimed at recapitulating the dynamics, composition and structure of the ECM. In this Review, we highlight important matrix properties and functions in the context of tissue engineering and regenerative medicine, consider techniques such as proteomics for the investigation of matrix structure and composition and discuss different engineering strategies for the design of matrix-mimicking biomaterials. Tissue, whole organ and cell culture decellularization approaches are examined for their potential to preserve the tissue-specific biochemical composition and ultrastructure of the ECM and for the development of biomaterials that promote the formation of functional tissues in clinical applications. Finally, we investigate challenges and opportunities of ECM biomaterials for the design of organotypic models to study disease progression, for the ex vivo creation of engineered tissue and for the clinical translation of functional tissue reconstruction strategies in vivo.